For years and through multiple cars we’ve relied on MINI’s official carpet and rubber floor mats. When possible we’d have two sets – carpet for warmer months and rubber for winter. 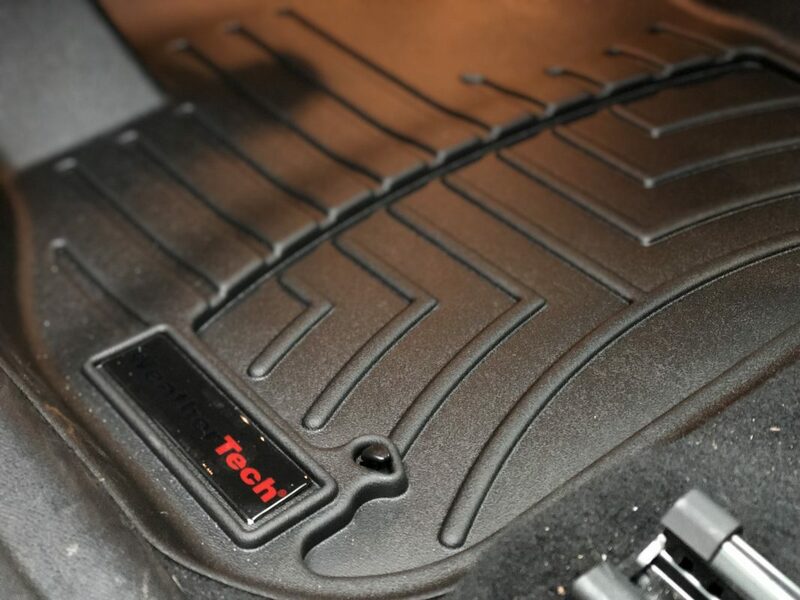 However for years we’ve been curious about aftermarket mats and specifically WeatherTech mats. 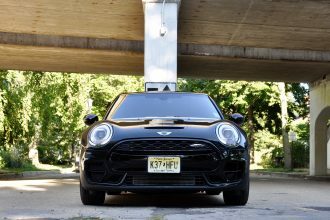 So this year we took the plunge and decided to test a pair of front WeatherTech mats for our JCW Countryman. Here’s what we found and why these might be the ultimate floor mat for your MINI. 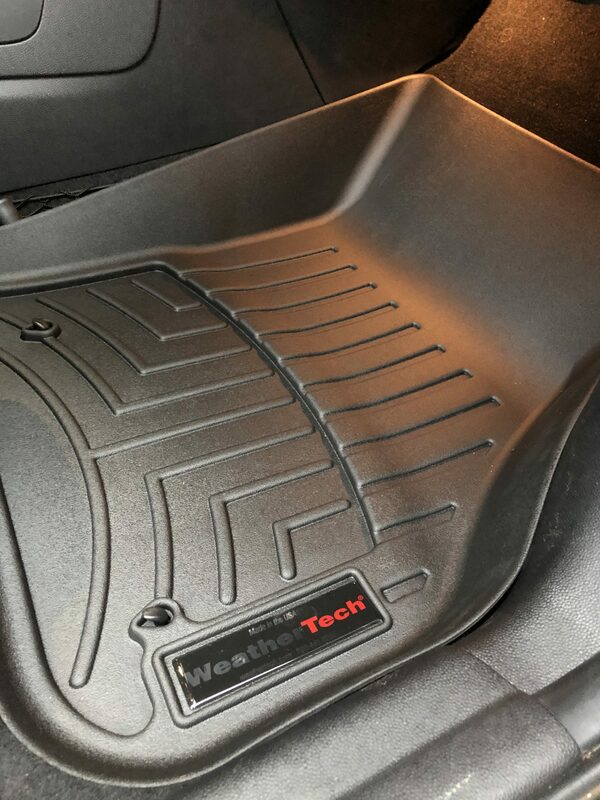 WeatherTech floor mats are designed to be custom fit and laser cut to order. What does that mean exactly? 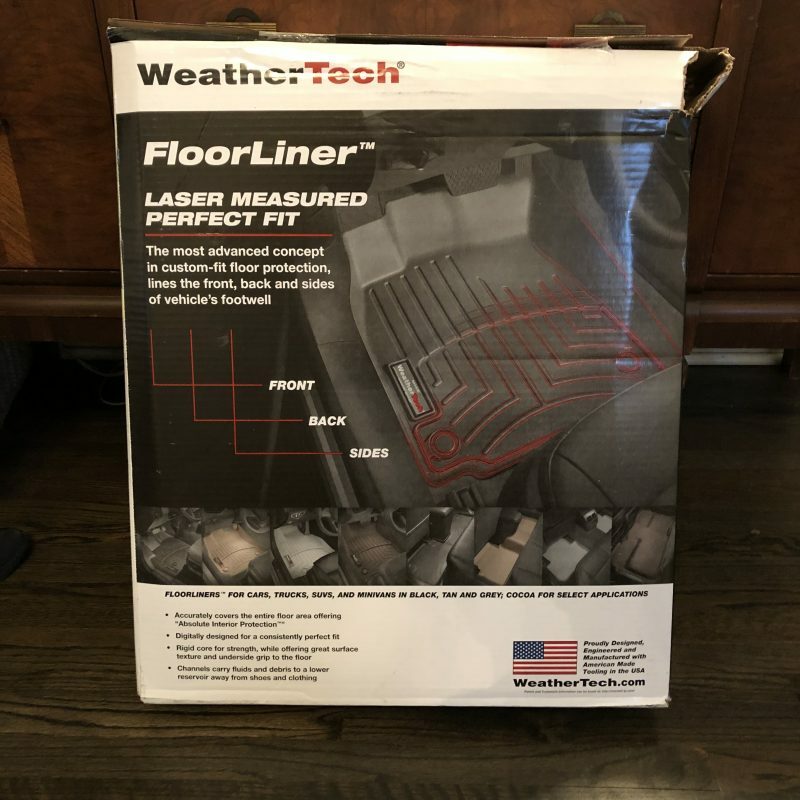 WeatherTech uses dimensional data they collect (using a proprietary method of measuring involving actual lasers) to precisely mold their patented High-Density Tri-Extruded (HDTE) material to almost any car on the market. 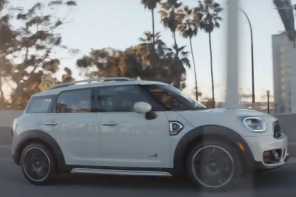 That means they fit our Countryman extremely well – in many ways better than even the OEM mats from MINI. 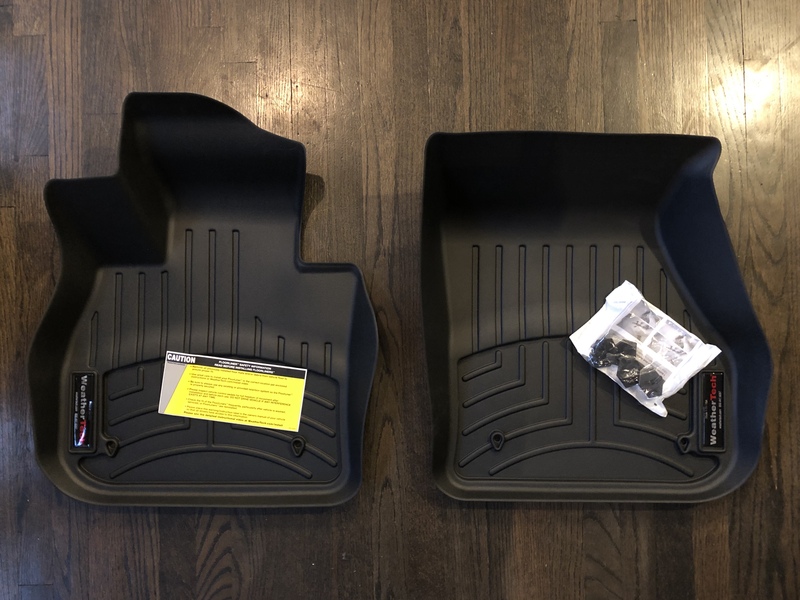 We say that because these mats (WeatherTech officially calls them DigitalFit FloorLiners) cover not just the footwell but the sides and up the bulkhead much more effectively than MINI’s all weather mats. In our experience this is a key difference and one that is hugely helpful when it comes to keeping snow and salt out of our car’s carpet. There are a few more benefits overs the OEM rubber mats as well. 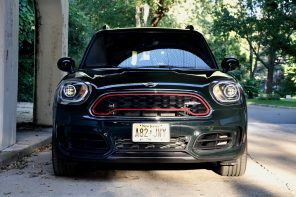 Where MINI’s grooveds are more determined by style than functionality, WeatherTech liners tend to be more about form over function. The grooves designed into the mats allow for more water to collect and flow away from the feet. This also makes it easier to collect and dispose of water or other debris. Finally the texture on the WeatherTech mats is more subtle which allows for easier cleaning. That may sound like a small detail but anyone with OCD knows what we’re talking about. Apparently the folks at WeatherTech understand. The other thing that’s interesting coming from MINI rubber mats is the difference in feel on foot. 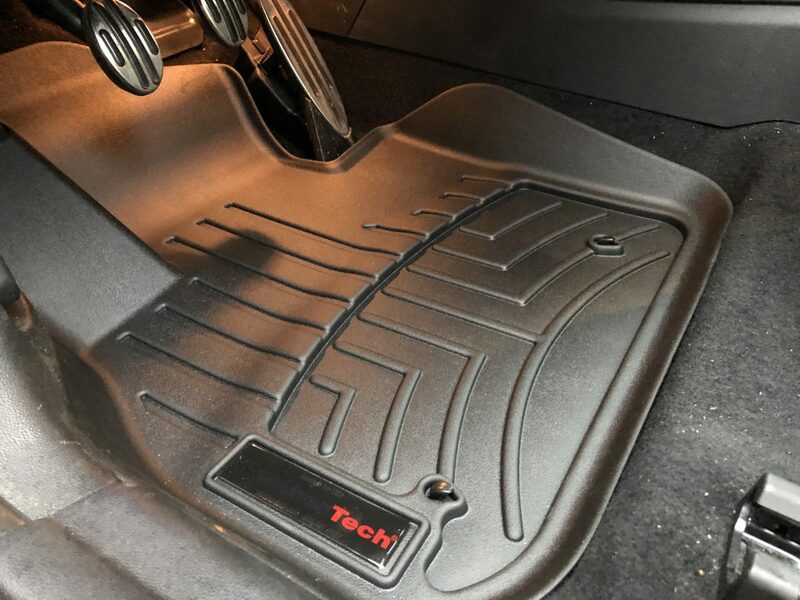 WeatherTech mats (or at least these floor liners) have a less grippy surface with abrasive qualities more like carpet in the way your heel slides back and forth. Once you’re use to the difference, it’s a welcome change from the standard sticky rubber mats. The other noticeable difference is the thickness of the material itself. It’s thinner and thus substantially lighter than the standard MINI rubber mats. It’s unclear what that will mean for wear but after a month of heavy use, they appear suitably indestructible. 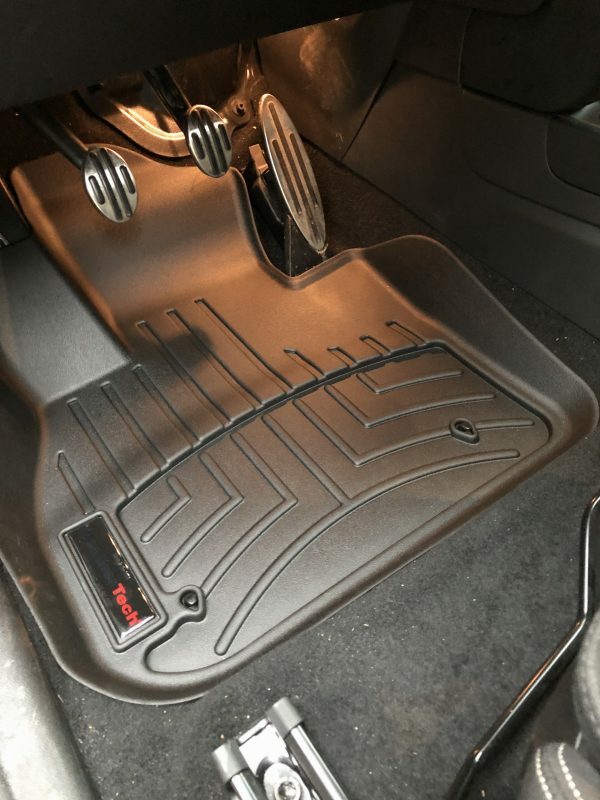 While you can get WeatherTech from a few sources, we ordered our WeatherTech floor mats from Partcatalog.com due to wide availability and free same day shipping. For the front two mats the total came to $127.95. If you want to spring for the full set (something we’d do in retrospect) it’s 197.90. And if you really want full protection they also sell a trunk liner with full coverage for $127.95. Again something we’d strongly consider now that we’ve experienced just how good thing things are. Are they worth it? 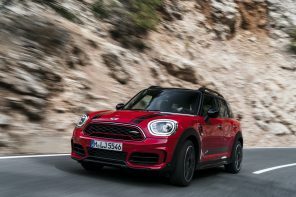 At almost double the cost of MINI’s basic rubber mats you’d expect them to be decidedly better and, no surprise, they are. But they’re not just better designed. They fit our Countryman better while providing more coverage. For us the entire point of having rubber floor mats for winter months is to maximize coverage and protect the interior of our MINI from salt and other debris. After years of using MINI’s OEM rubber mats we know their limitations all too well. 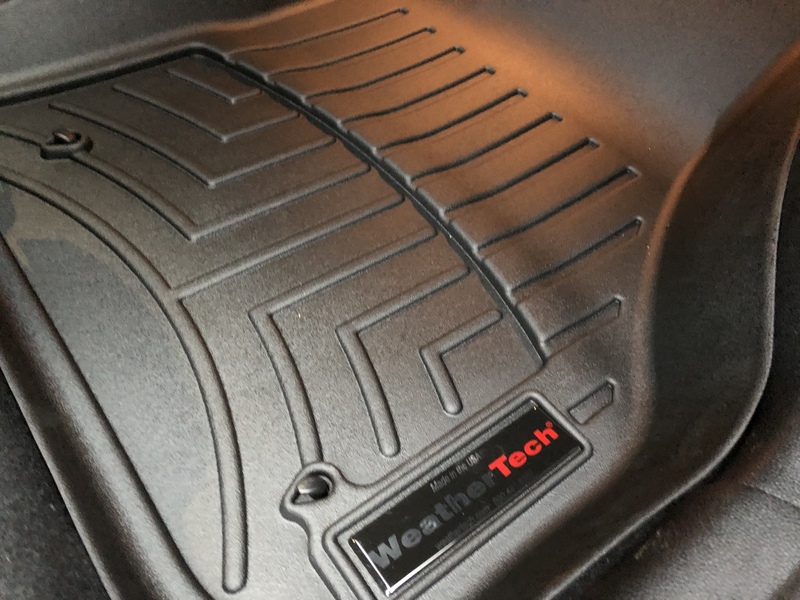 WeatherTech mats solve those limitations with smart design, thoughtful material choice and without bulk. Note: Given that we’ve had MINI OEM mats last less than two years, it’s worth noting that these mats are made in the USA and come guaranteed against faulty workmanship and materials for three years after the purchase date.